It's all about me, right? « Do not press the big red button! 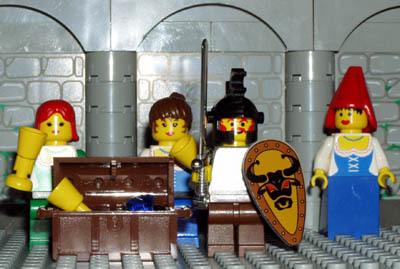 Take the two geekiest things you can think of, D&D and Legos. and shake vigorously – the result is BrickQuest. Just remember, I get to be the BrickMaster, OK? This entry was written by FD, posted on October 23, 2006 at 11:03 am, filed under Fun Distractions, Uncategorized and tagged Fun & Games. Bookmark the permalink. Follow any comments here with the RSS feed for this post. Post a comment or leave a trackback: Trackback URL.